There’s a lot of health information out there, and not all of it’s accurate. The more you know about the science of health, the better prepared you can be to evaluate health information and make well-informed decisions. 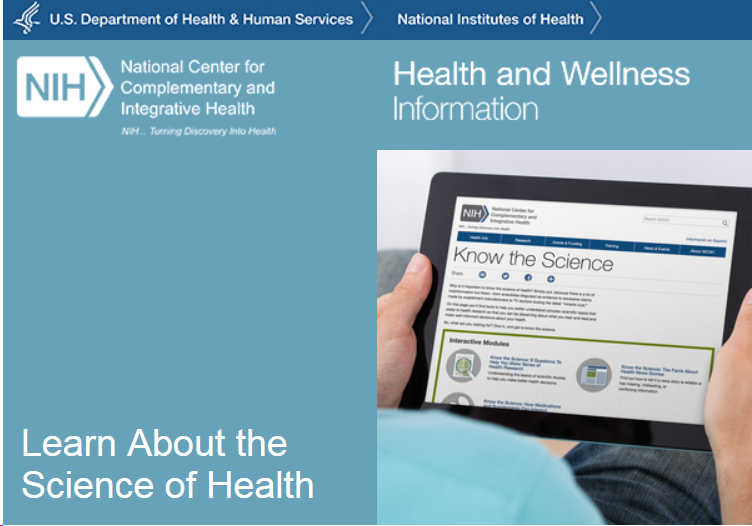 NCCIH’s Know the Science toolkit, available in both English and Spanish, can help. It features a variety of interactive modules, quizzes, and other tools to help you better understand complex scientific topics that relate to health research. You can also subscribe to NCCIH’s Know the Science email update for monthly bulletins about helpful resources. Dive in and get to know the science! Around half of older patients are exposed to potentially inappropriate prescribing, each year, and hospitalisation is independently associated with an increased risk, finds a study in Ireland published by The BMJ today. Inappropriate prescribing can include the intensification of existing drugs and the failure to stop or reduce doses of certain drugs after discharge from hospital. The findings suggest that better coordination of care is needed to reduce avoidable medication related harms among these patients. Potentially inappropriate prescribing is common among older adults and is associated with adverse outcomes including emergency hospital attendances and admissions, adverse drug events, and poorer quality of life. This is an observational study, so no firm conclusions can be drawn about cause and effect, and the researchers cannot rule out the possibility that other unmeasured factors may have affected the results. However, the study included data from a large number of patients, and the findings are consistent with previous research in the field. And they call for better coordination of care, particularly for older patients with complex care needs, to help reduce risk of medication errors, adverse drug events, and readmissions. “Identifying optimal management strategies for older people is vital to ensure that the risk of inappropriate drugs is minimised after transitions of care,” they conclude. In a linked editorial, Professor Anthony Avery at the University of Nottingham and Professor Jamie Coleman at the University of Birmingham, say opportunities to intervene are often missed. Low income people may qualify for assistance through government, nonprofit, or corporate programs. Check out the Financial Help section of the UT Library Consumer Health Library Guide. by the author of this blog. 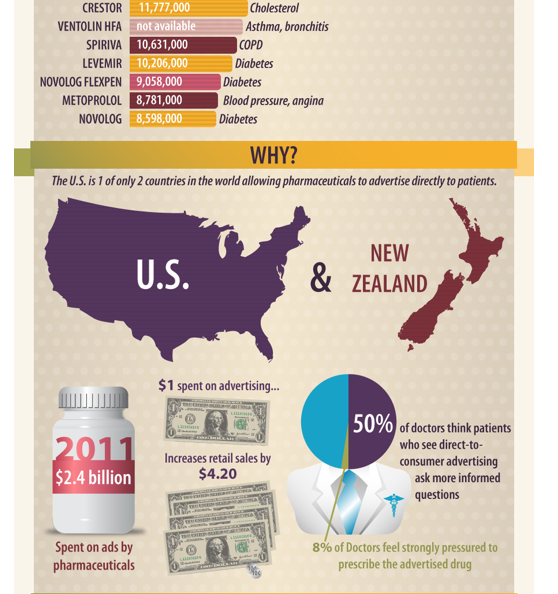 Many Americans take both dietary supplements and prescription or over-the-counter drugs. Sometimes, these drugs and supplements may interact in harmful ways. It’s important to tell all your health care providers about all dietary supplements and drugs you take. That way, they can help you avoid harmful interactions. Sometimes, taking a drug and a supplement together may increase the drug’s effects. The drug’s effects may become too strong, and unwanted side effects may increase. For example, the herb schisandra may slow down the processes in your body that change drugs into inactive substances. So if you take this herb while you’re also taking a drug, the amount of the drug in your body may increase. As a result, the drug’s effects may be too strong. 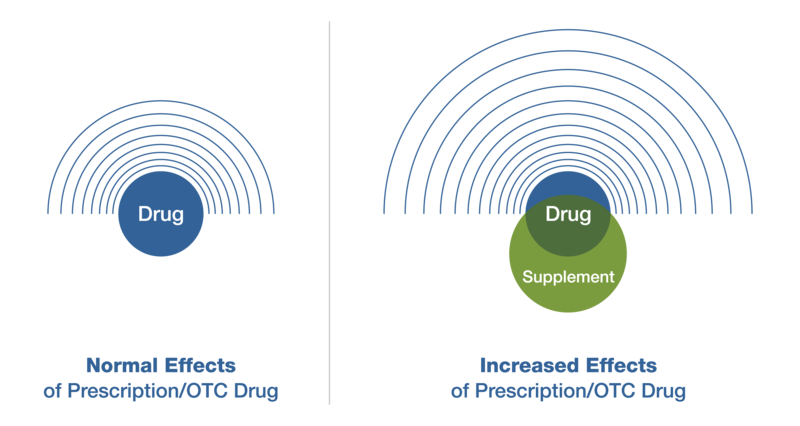 When people think about drug interactions, they often think about prescription drugs. But some drugs that are available over the counter without a prescription can interact with supplements, too. swimming, and working out at the gym works for me. 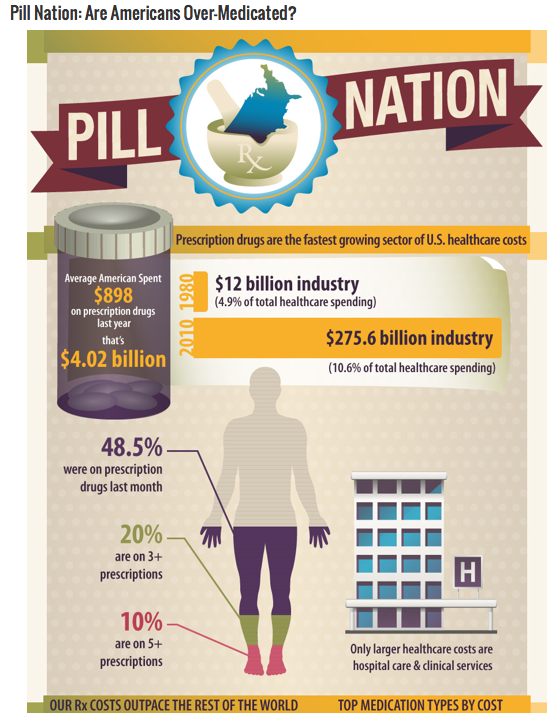 “Prescription drugs are a $425 billion business in the United States, and growing. A good chunk of that goes towards prescription pain medication to help alleviate chronic pain. More than 25 million of us report having daily chronic pain, and 23 million say they’re in a lot of pain, according to a study from The National Institutes of Health. About one in five adults are prescribed opioids to manage chronic pain says the CDC. We all know about the high rate of substance use disorder in the U.S., and while opioids certainly have a place, especially for managing acute pain, they’re not an ideal long-term option. So what can we do to help people with persistent pain? For doctors, it is common to have some doubt about a new medical test, procedure or drug—even one which is widely hailed as remarkable or a game changer. It is not cynicism but a healthy skepticism towards marketing over substance. Doctors want to see the evidence that a drug actually works rather than just a good story about why it should work. Often, however, this skepticism does not last. After a few months, still without any evidence, the doctor finds herself buying in, just a little, to the hype. OK, let me just see what everyone is talking about, she thinks. She begins recommending the drug herself. She still thinks of herself as cautious and conservative—while her colleagues use the treatment widely, she thinks it has a more narrow and defined role. Probably the pill does not work for everyone, but in a select group of people. A few more years go by, and she gets comfortable with the once-hyped treatment. She now knows how to manage its complications; she thinks she has a good sense of who it benefits; and she considers it a part of her practice. Summary:Cancer patients over the age of 65 often take multiple drugs, which can interfere with cancer treatment. A new study shows that currently used tools to prevent over-medicating senior cancer patients need improvement. 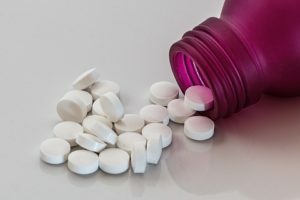 From 28% to 68% of women using hormones at menopause take compounded, so-called “bioidentical” hormones, but women don’t understand the risks of these unapproved, untested treatments, shows an analysis of two large surveys, which was published online in Menopause, the journal of The North American Menopause Society. Prescriptions of compounded hormones aren’t systematically tracked the way those for FDA-approved drugs are, so the analysts used two large internet surveys of middle-aged and older US women to gauge how commonly they use approved hormone therapy and compounded hormone therapy at menopause. Nearly 3,000 women completed the Harris Interactive Inc and Rose Research LLC surveys, and the researchers used their feedback and US Census data to estimate national use. They calculated that each year 57 to 75 million prescriptions for all menopausal hormone therapies are filled. Thirty-six million prescriptions are written for FDA-approved hormone therapy, so the remaining 28 to 39 million prescriptions are likely for compounded hormones. New regulations proposed for off-label uses of drugs, devices — ScienceDaily. Summary:Researchers have proposed a system for off-label drug prescriptions combining reporting, testing and enforcement regulations, and allowing interim periods of off-label use. This would give patients more treatment options while providing regulators with evidence of the drugs’ safety and efficacy. Off-label use of drugs and medical devices — using approved remedies in unapproved ways — has long been a part of medicine. The practice provides public health benefits but also presents some risks. 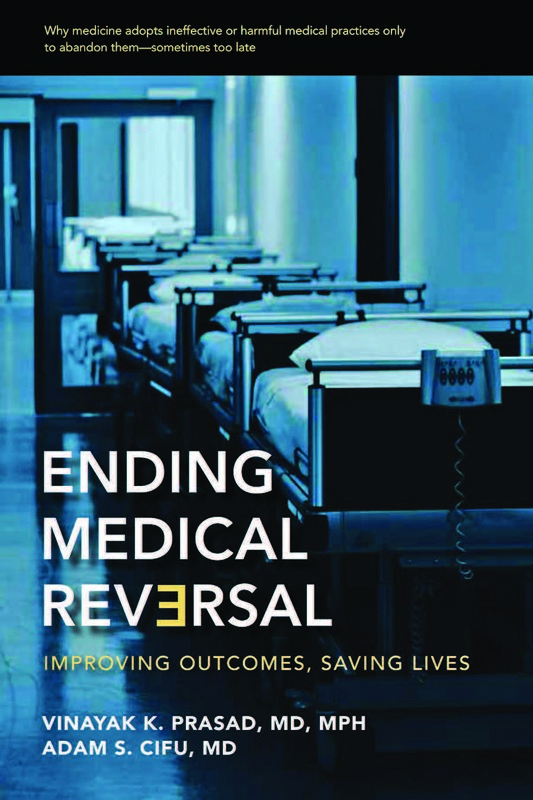 • Improved reporting of off-label use through disclosure of diagnostic codes in reports to the FDA, in detailing data that pharmaceutical companies obtain on physicians’ prescribing habits, and in reports to the FDA and Medicare/Medicaid reimbursement requests. This information, which would omit details that could identify individual patients, could then be shared with academics and pharmaceutical companies for use in research. • Expansion of post-market testing requirements for off-label use of drugs and medical devices. • A tiered labeling system for drugs consisting of “red box” warnings that prohibit certain off-label uses; informed consent from patients receiving prescriptions for off-label use of some drugs that currently carry “black box” warnings, which identify drugs that pose a significant risk of serious or life-threatening adverse effects; and the creation of a new “grey box” warning that blocks Medicare Part D and Medicaid reimbursements by the Centers for Medicare and Medicaid Services. The drugs we release into the environment are likely to have a significant impact on plant growth, finds a new study nled by the University of Exeter Medical School and Plymouth University. 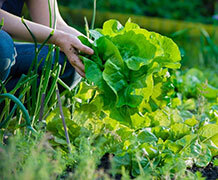 Published in the Journal of Ecotoxicology and Environmental Safety, the research focused its analysis on lettuce and radish plants and tested the effects of several commonly prescribed drugs, including diclofenac and ibuprofen. These drugs are among the most common and widely used group of pharmaceuticals, with more than 30 million prescribed across the world every day. The potential for these chemicals to influence plants is becoming increasingly relevant, particularly as waste management systems are unable to remove many compounds from our sewage. Drugs for human use make their way into soil through a number of routes, including the use of sewage sludge as fertiliser and waste water for irrigation. This study looked for a number of changes in edible plants, assessing factors such as water content, root and shoot length, overall size and how effectively the plants photosynthesised. Each drug was shown to affect the plants in very specific ways, with marked differences between drugs that are closely related. For example, drugs from the fenamic acid class affected the growth of radish roots, whilst ibuprofen had a significant influence on the early root development of lettuce plants. This brief commentary extends earlier work on the value of adherence to derive medical cost offset estimates from prescription drug utilization. Among seniors with chronic vascular disease, 1% increases in condition-specific medication use were associated with significant (P<0.001) reductions in gross nonpharmacy medical costs in the amounts of 0.63% fordyslipidemia, 0.77% for congestive heart failure, 0.83% for diabetes, and1.17% for hypertension. Figure 1 presents the new findings and includes the CBO estimate for reference. Specifically, 1% increases in condition-specific prescription drug utilization were significantly (P<0.001) associated with reductions in seniors’ gross nonpharmacy medical costs in the amounts of 0.63% for dyslipidemia, 0.77% for congestive heart failure, 0.83% for diabetes, and 1.17% for hypertension. 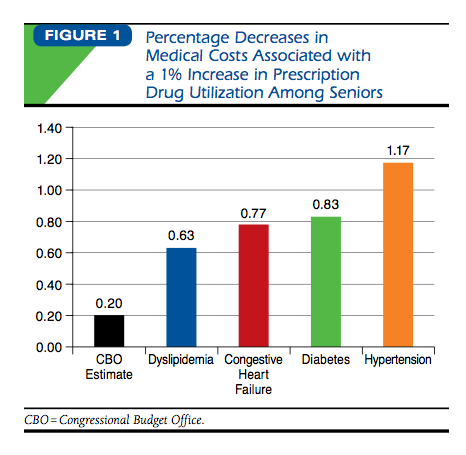 These results demonstrate that medical cost offsets from prescription drug utilization likely vary bychronic condition and that impacts for therapeutic classes used to treat these 4 conditions—which represent 40% of Medicare Part D utilization—may be between 3 and 6 times greater than the CBO’s assumption. In dollar terms, these relative impacts are not trivial. For example, 53% of Medicare (fee-for-service) beneficiaries have the comorbidity combination of hyperten sion plus high cholesterol—with average annual medical costs of $13,825. The current findings suggest that a 5% increase in the use of antihypertensive medication by patients with those conditions may prompt reductions in medical (Parts A and B) costs of more than $800 annually per beneficiary. The present analysis examined retirees with employer-sponsored insurance in addition to Medicare. To the extent that these individuals differed from the broader Medicare population, the generalizability of study findings may be limited. 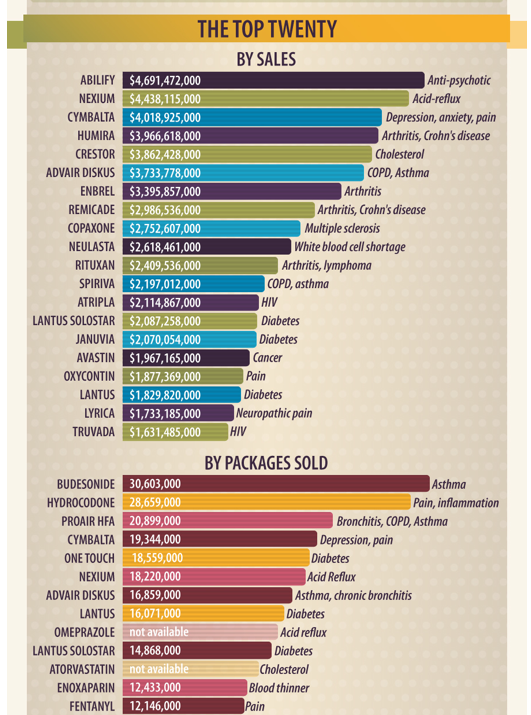 The illegal ways patients buy drugs. 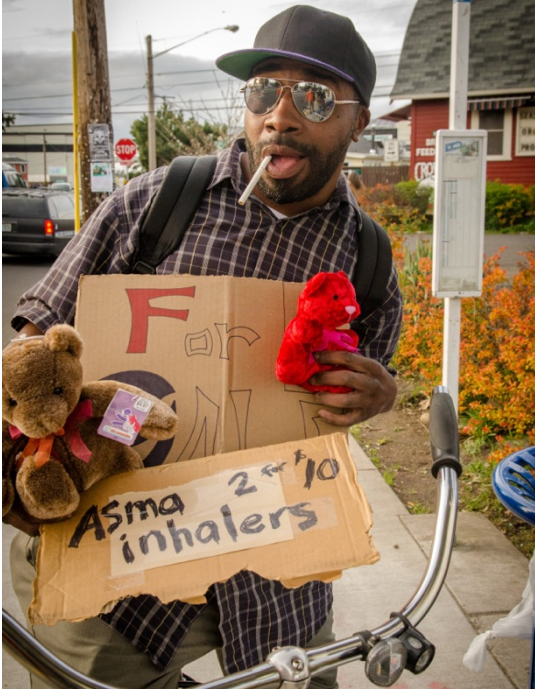 Tom is diabetic, asthmatic, and broke. He’s back for a checkup. Prescriptions dispensed behind a tattoo parlor? Wow. I’m constantly impressed by my patients’ ingenuity. One gal this week told me she’s on her deceased grandfather’s antidepressants. Another gets his pharmaceuticals from the farm supply store. I’m just glad to know he doesn’t have fleas. “Are you good on your inhalers?” I ask. Does taking multiple medicines increase risk of being admitted to hospital? Yes and no. Patients with a single illness who take many drugs have an increased risk of being admitted to hospital, but for patients with multiple conditions, taking many medicines is now associated with a near-normal risk of admission. This is the key finding of work published in the British Journal of Clinical Pharmacology. Doctors call the situation where people take many drugs ‘polypharmacy’, a state of affairs that is becoming increasingly common in part because we have more elderly people and also a rising number of people are being diagnosed with multiple health conditions. As a volunteer Area Office on Aging counselor, I help folks apply for Extra Help with their prescription drugs and a state program for Medicare Part B financial assistance. In the past year I have been astounded at the prescription drug costs for quite a few clients, as well as saddened by those who are falling through the cracks. Have heard folks tell me how they are choosing between eating well and buying prescribed drugs. Among the sacrifices Congressional representatives placed on the altar of deficit negotiations is an “inflation adjustment” that will shave “only” a few hundred dollars from an average, newly retired Social Security beneficiary’s income each year. But the cruel hoax is that the reduction will amount to as much as $1600 when the beneficiary is older, poorer, and sicker. Many seniors already have a tough time paying for food, rent, and medical care. Even worse, reductions in beneficiaries’ incomes may well cost government more for potentially preventable hospital and long-term care. Senator Elizabeth Warren and other New England lawmakers should be lauded for splitting from Democratic representatives and the Administration regarding this ill-conceived proposal. Many senior citizens are already vulnerable to economic hardship. A recent US Census analysis that counts rising medical expenses found that over 1 in 6 elderly people live in poverty, unable to meet basic living expenses, and almost 20% more are living just above the poverty line. Social Security is the only or largest source of income for about 70% of seniors; the average monthly check is only about $1200. The typical retirement savings of seniors is a paltry $50,000 — barely enough to get through several years’ living expenses, let alone 20-30 years of retirement. This is not the result of cavalier actions by the older generation; these are the Americans whose home values have plummeted, whose defined-benefit pension plans have been decimated or disappeared, and whose retirement accounts were eviscerated by the Wall Street meltdown of the last decade. Yet the current proposal punishes these Americans as if they were at fault for their poverty. What are the consequences of having to rely on Social Security alone? High out-of-pocket health care costs can be “catastrophic” because they cause people to go without essential medical care. Our studies published in the New England Journal of Medicine show that a 50% reduction in drug benefits in New Hampshire for low income, chronically ill seniors backfired. 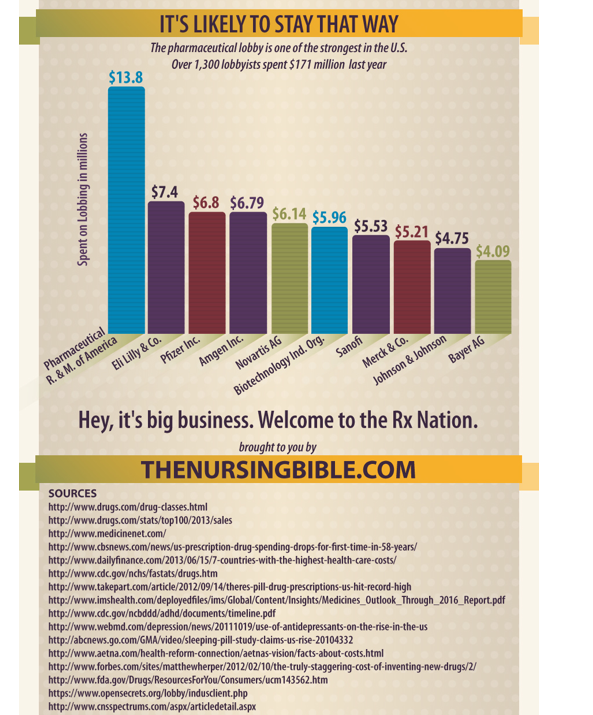 The NH policy reduced the use of essential medicines (e.g., for diabetes and heart disease), worsened chronic illness, increased acute care, and doubled the rate of permanent institutionalization in expensive nursing homes. These increased admissions raised government costs several times more than the drug “savings,” not even counting increased pain and suffering of patients and their families. Dr. Nicole Lurie, the current US Assistant Secretary for Preparedness and Response, showed that about 15% of people (many seniors) who are admitted to hospital emergency departments experience significant hunger before admission. Frequently, seniors skimp on medicines to pay for food, and this leads to illness and further hospital care. Similarly, our studies show that almost 30% of disabled Medicare recipients in poor health skip or split pills to make them last longer because they can’t afford their prescription drugs, even in the era of the Part D drug benefit. One study indicates that splitting pills increases hospitalization of heart disease patients by 21%. The current debate in Washington encapsulates the growing political and ideological divide as to how the costs of deficit reduction should be allocated across various parts of the population. No single proposal more starkly embodies that issue than efforts to trim and chip away from recipients of an earned, contributory entitlement at precisely that time in their lives when they can least afford reduced incomes, and have the least capacity to compensate for them. Most medicines work by binding to and modifying the actions of proteins, tiny molecular machines that perform important cellular tasks. Details about protein structure and function help scientists develop medicines that block proteins or otherwise interact with them. But even when a drug is designed to target a specific protein, it can sometimes impact others, causing side effects. The way medicines work also can be influenced by how a person’s body absorbs and processes them. Antibiotics and antiviral drugs attack proteins that are only found in the targeted bacterium or virus and that are crucial for the pathogen’s survival or multiplication. In many cases, the targets are enzymes, which are proteins that speed up chemical reactions. The antibiotic penicillin, for example, hones in on an enzyme that builds bacterial cell walls, causing infecting bacteria to burst and die. Protease inhibitors like saquinavir shut down an enzyme that would otherwise help HIV spread in the body. Many anticancer drugs act by killing cells that divide rapidly, but they can also affect healthy dividing cells. For example, paclitaxel (Taxol), which is prescribed for breast, ovarian and other cancers, works by binding to the tubulin protein, inhibiting the formation of structures called microtubules that are needed for cell division. Newer anticancer drugs are more discriminating, often targeting important proteins that are abnormally active in certain cancers. One such drug, imatinib mesylate (Gleevec), halts a cell-communication pathway that is always “on” in a cancer of the blood called chronic myelogenous leukemia. Gleevec’s target is a protein called a kinase, and the drug’s design is based on years of experiments on the basic biology of how cancer cells grow. Adrenergic receptor with carazolol, a beta-blocker. View larger image. Some of the most widely prescribed drugs function by blocking proteins called G protein-coupled receptors, which play key roles in transmitting the signals that allow a cell to respond to its environment. The drug loratadine (Claritin) relieves allergies by blocking the histamine receptor; antidepressant medications (such as Prozac, Paxil and Zoloft) affect the serotonin receptor; and beta-blockers treat heart disease by interfering with the adrenergic receptor. Signaling can also be stopped by targeting the enzymes that create a molecule involved in the process. This is how aspirin works—it inhibits the enzyme cyclooxygenase, which makes pain-signaling molecules called prostaglandins. With a better understanding of the specific relationships between a drug and its target (and off-target) proteins, researchers are using a variety of existing data to identify and test FDA-approved drugs for new uses and to predict potential side effects. This could reduce the time and cost of bringing drugs to market. Scientists are also learning more about how a person’s genes may influence the effectiveness and safety of certain drugs. Another area of active research involves developing new ways to deliver drugs to specific organs or disease sites, also improving therapeutic benefits and reducing side effects. Content adapted from the poster “How Do Drugs Work?” available from the RCSB Protein Data Bank. Images courtesy of David S. Goodsell, The Scripps Research Institute. Pharmacists are among my favorite professionals. I’ve always been able to get expert prescription drug related information (as side effects) and OTC advice for free! Even when I wasn’t their customer. But even they are human and have their customer service pet peeves. Don’t we all who work with clients, customer, and “the public”. (Just hope I’m not one of those wacky customers!). It’s happened at last: the epitome of ridiculousness in the already pretty ridiculous world of drug prior authorizations. I wish I could say that I made this up. I got a fax from a pharmacy requesting a prior authorization for a brand name drug called Protonix, one of a family of medications used to treat ulcers, acid reflux, and other forms of tummy ache. This happens. Because there are five different drugs in this class (not counting generics), there is no way I can keep straight which plans prefer which drug. Sadly, switching patients from one medication to another, even if it’s working just fine, purely because of which drug maker is in bed with which insurance plan, is an everyday event. No big deal. Here’s the thing: the patient was already doing well on pantoprazole, which happens to be generic Protonix. What? It just so happens that pantoprazole is already on the list of $4.00 generics! But, says the pharmacy, that’s what the patient wants. A very interesting use of crowdsourcing for medical research. Using automated software tools to examine queries by six million Internet users taken from Web search logs in 2010, the researchers looked for searches relating to an antidepressant, paroxetine, and a cholesterol lowering drug, pravastatin. They were able to find evidence that the combination of the two drugs caused high blood sugar. Prescription drugs retained their potency for as long as 40 years after expiration date, an analysis of 14 different compounds showed. Overall 12 (86%) of the compounds tested at concentrations at least 90% of the labeled amount. Three compounds had concentrations that exceeded labeled amounts, and in two cases laboratory tests showed the compounds had less than 90% of the labeled concentration. The findings add to existing evidence that prescription drugs retain their potency long after the expiration date, according to a research letter published online in Archives of Internal Medicine. The study involved eight medications comprising 15 different active ingredients, all in original, unopened containers. The medications were methaqualone, codeine, meprobamate, amphetamine, pentobarbital, secobarbital, and hydrocodone. In addition to the primary ingredient, one or more of the eight medications included butalbital, aspirin, phenacetin, caffeine, phenobarbital, homatropine, chlorpheniramine, acetaminophen, and caffeine. Ultimately, the authors evaluated medications representing 14 drug compounds. For each of the eight medications, the authors dissolved the contents of tablets/capsules, sonicated in methanol, reconstituted in analysis buffer, and analyzed with liquid chromatography time-of-flight mass spectrometry. Homatropine was the only drug not included in testing. Of the 14 compounds analyzed, 12 retained the generally recognized minimum acceptable potency of 90% of labeled amount. The only two that did not meet the 90% minimum standard were aspirin (200 mg labeled, 2.28 mg by analysis; 226.8 mg labeled, 1.53 by analysis) and amphetamine (5.0 mg labeled, 2.2 mg by analysis; 15.0 mg labeled, 8.1 mg by analysis). n the past two years, Illinois has done just about everything it could to reduce the amount it spends on prescription drugs for mental health. It has placed restrictions on the availability of 17 medications used to treat depression, psychosis and attention-deficit disorder. Doctors now have to explain to Medicaid why the drugs are necessary before a patient can get access to them. Then in July, as part of an effort to cut overall Medicaid spending by $1.6 billion, the state capped the number of prescriptions for Medicaid recipients to four a month, even if they previously were taking a broader cocktail of behavioral medications. In financial terms, there is no question that it has worked. Last year, the state’s Medicaid mental health drug spending budget was reduced by $112 million. 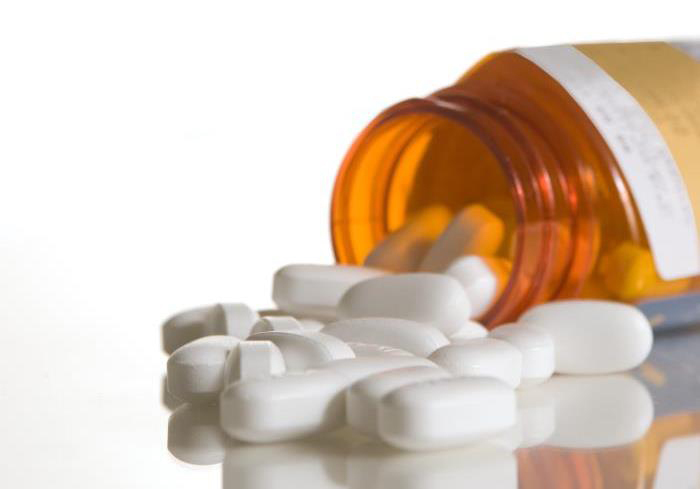 The new cap on prescription drugs is expected to save another $180 million. Up until 2011, behavioral health drug spending made up about a quarter of Illinois’ Medicaid prescription drug costs. The state spent about $392 million that year on drugs for treating mental health patients. In fiscal 2012, the state spent $280 million on mental health drugs. Michael Claffey, of the Illinois Department of Healthcare and Family Services, says the state is aware of the complaints from the mental health community, but adds, “we don’t have unlimited funds. We need doctors to work with us…If a patient needs a drug, they will get approval.”..
About half of Medicaid mental health patients had difficulty accessing at least one medication, and about a quarter of them then stopped taking their medications, according to a Psychiatric Services report in 2009 on physicians’ experiences in 10 state Medicaid programs. Physicians reported that many patients experienced an adverse event, such as hospitalization, homelessness or even suicide because they couldn’t get their drugs. Another study, reported in the May 2008 issue of Health Affairs, showed that between 2003 and 2004, Maine’s prior authorization program for atypical antipsychotics (drugs that treat serious psychoses) resulted in a 29 percent greater risk that patients suffering from schizophrenia would fail to follow their treatment protocol. Competing studies, on the other hand, suggest that mental health drugs aren’t being properly prescribed, particularly to those under 18, and that imposing restrictions can improve quality of care by requiring physicians to reconsider why they are writing a prescription. I.. In Illinois, Yohanna says he has seen examples of inappropriate prescribing of psychotropic drugs and agrees that “prior approval can help with that.” But he thinks that requiring all doctors to get approval for drugs “is just throwing a blanket on things without really dealing with the worst offenders.” He says a policy like Washington State’s second opinion program would be a good idea, as well as setting up a system where there are fewer restrictions on doctors who had responsible prescribing patterns. Currently Yohanna says, it can take two to three days to get a drug approved. Many people have probably heard of off-label drug use, but they may not know when that applies to prescriptions they are taking, a Mayo Clinic analysis found. Off-label drug use occurs when a physician prescribes medication to treat a condition before that use has been approved by the Food and Drug Administration. In a newly published article in Mayo Clinic Proceedings, researchers pose and answer 10 questions about off-label drug use. * Off-label drug use is common. 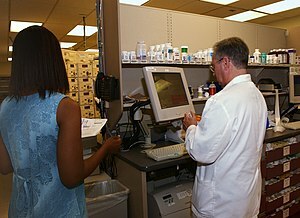 Within a group of commonly used medications, roughly 1 in 5 prescriptions were for an off-label use, a 2006 report found. Another study found that about 79 percent of children discharged from pediatric hospitals were taking at least one off-label medication. * Patients may not know when drugs they have been prescribed are being used off-label. No court decision has required that physicians must disclose, through informed consent, the off-label use of a drug, the authors say. The FDA makes clear that it doesn’t regulate the practice of medicine and that the federal Food, Drug, and Cosmetic Act of 1938 doesn’t make physicians liable for off-label drug use, they note. * Off-label drug use can become the predominant treatment for a condition. For example, some antidepressants are not approved by the FDA as a treatment for neuropathic pain, yet some drugs in this class are considered a first-line treatment option. * Examples of widely practiced off-label drug use include morphine, used extensively to treat pain in hospitalized pediatric patients. Many inhaled bronchodilators, antimicrobials, anticonvulsants, and proton pump inhibitors also are used in children without formal FDA approval. * Obtaining new FDA approval for a medication can be costly and time-consuming. To add additional indications for an already approved medication requires a supplemental drug application; if eventually approved, revenue from it may not offset the expense and effort for obtaining approval. * Generic medications may not have the requisite funding resources needed to pursue FDA-approval studies. For these financial reasons, drug proprietors may never seek FDA approval for a new drug indication. * Pharmaceutical manufacturers are not allowed to promote off-label uses of medications. However, they can respond to unsolicited questions from health care providers and distribute peer-reviewed publications about off-label use. Just this year, GlaxoSmithKline agreed to pay a record $3 billion to settle a Justice Department case involving alleged off-label drug use marketing, and Merck Sharp & Dohme was fined $322 million over its alleged promotion of the painkiller Vioxx for an off-label use. Do you know how to properly measure and administer medicine to your child? Arecent study presented at the Pediatric Academic Societies annual meetingsuggests that parents with low reading and math skills may not. Health care providers—including physicians, pharmacists, and nurses—should not assume that all parents can accurately administer medicine to their child, and should adequately educate parents on how to do so. Edward A. Bell is a pediatric pharmacist and a professor of clinical sciences at Drake University College of Pharmacy and Health Sciences and the Blank Children’s Hospital and Clinics, Des Moines, Iowa. His book A Parent’s Guide to Children’s Medicines, is forthcoming this summer. The information provided in this blog post is not meant to substitute for medical advice or care provided by a physician, and testing and treatment should not be based solely on its contents. Instead, treatment must be developed in a dialogue between the individual and his or her physician. This post has been written to help with that dialogue. The services of a competent medical professional should be obtained whenever medical advice is needed. Drugs frequently interact with more than one target, with hundreds of these targets linked to the side effects of clinically used therapeutics. Focusing on 656 drugs that are currently prescribed, with known safety records or side effects, the team was able to predict such undesirable targets – and thus potential side effects – half of the time. That’s a significant leap forward from previous work, which has never tackled hundreds of compounds at once, according to Brian Shoichet, PhD, a UCSF professor of pharmaceutical chemistry who was the joint advisor on the project alongside Laszlo Urban, MD, PhD, at Novartis. Of the 4,300 companies engaged in drug innovation, only 6% (261) have registered a new drug since 1950. …The more complicated your problems, the more fragmented your care will be. The average Medicare patient sees two physicians and five specialists a year, (according to The Fragmentation of American Health Care: Cases and Solutions, edited by Einer Elhage). Those with a chronic illness see an average of 13 physicians a year. A Medicare patient with coronary artery disease sees ten physicians in six distinct practices annually. Indeed, the more physicians following someone after a heart attack, the lower the survival rates. When you get a test result, procedure or have surgery, get the summary in writing, keep a copy, and send or bring copies to all your other healthcare providers. Attach a simple note: “Wanted to keep you up- to-date on my health status. Please put this in my chart.” If it’s an important healthcare issue, be sure to bring up the data or problem at your next visit and mention that you sent a written summary for inclusion in your medical record. Keep a list of all your medications and update it any time a healthcare provider adds or deletes a drug or changes a dosage. Bring a copy of that list to your medical appointments and to the emergency room if you end up there. Don’t leave your dentist or your optometrist/ophthalmologist out of the loop. They need to know the details of your general health status. It will help them diagnose and treat any issues they may identify with you. Be sure they know if you have any infections, immune issues, heart problems, chronic conditions or are taking blood thinners or antibiotics, as well as other medications. If you have a test or procedure and you do not hear the results soon afterwards, do not assume the results were normal. Call the healthcare provider who ordered the test and ask the office staff to email or send you a written copy of the test summary. Keep a copy in your own “medical updates” file. If the test was indeed OK, you still should have copy for reference at a later time, if needed. If you or someone you love ends up in the hospital, your role of communicator will be even more vital. Often multiple consulting physicians — specialists — are called by the admitting physician to weigh in on issues and questions that develop while you’re in the hospital. They don’t always talk to each other or even realize who has changed or added a medication, who has ordered a test, or what results are in. The more you communicate the better. If you are being asked to go back for a test you already had or if you have questions about what is happening, don’t assume someone at the “nurses’ station” has it all managed. Ask questions and be sure you understand what tests you’re getting and why. If you are being discharged from the hospital ask for the results of any tests or procedures you had in the hospital. .Pharmaceutical giants, like small-town pizza parlors, have two options for making more money: convince regulars to buy more of what they obviously like, or find ways to persuade more people that they will be happier with this drug or that thin crust with extra cheese.In the case of the drug companies, it’s not our taste buds they’re appealing to. Instead, they market prescription drugs directly to consumers — a practice legal only in the United States and New Zealand — by, basically, manipulating our fear of suffering and death.These “disease mongers” — as science writer Lynne Payer in her 1992 book of that name called the drug industry and the doctors, insurers, and others who comprise its unofficial sales force — spin and toil “to convince essentially well people that they are sick, or slightly sick people that they are very ill.”Changing the metrics for diagnosing a disease is one reliable technique. Dr. Adriane Fugh-Berman, associate professor of pharmacology and director of the industry watchdog group PharmedOut.org at Georgetown University School of Medicine, pointed to how the numbers used to diagnose diabetes and high cholesterol have been lowered over time. “The very numbers we use have been reduced to the point of absurdity,” she said. “120/80 was considered normal blood pressure; now it’s considered ‘pre-hypertension. '”Entirely new diseases can be, and have been, invented to extend a manufacturer’s patent on a highly profitable drug. Fugh-Berman said Eli Lilly stood to lose a lot of profits once the patent expired on its hugely popular antidepressant Prozac. “So they positioned this new condition, PMDD (Pre-Menstrual Dysphoric Disorder), and then went to physicians and the FDA with their highly paid experts who said PMDD is a tragic disease, and they got approved for Sarafem, the same drug. It’s an on-label use for a repackaged drug; they created the disease and then got a drug re-approved that was going off patent.”.. The article goes on to outline one feature of the “medical industrial complex” – the expansion of disease categories to include precursor conditions as psychosis risk syndrome. These categories are included in professional manuals, making it easier for drug companies to develop and market new drugs associated with conditions recognized by medical associations. The authors also asks if Americans are being overdiagnosed through an overly medicalized drug culture partly created through aggressive prescription drug advertisements. Responsibility for addressing this issue is in the hands of consumers, professional health care providers, government regulators, and all who contribute to our culture (as artistis, writers, and journalists). ClinicalTrials.gov -up-to-date information for locating federally and privately supported clinical trials for a wide range of diseases and conditions. A clinical trial (also clinical research) is a research study in human volunteers to answer specific health questions. Interventional trials determine whether experimental treatments or new ways of using known therapies are safe and effective under controlled environments. 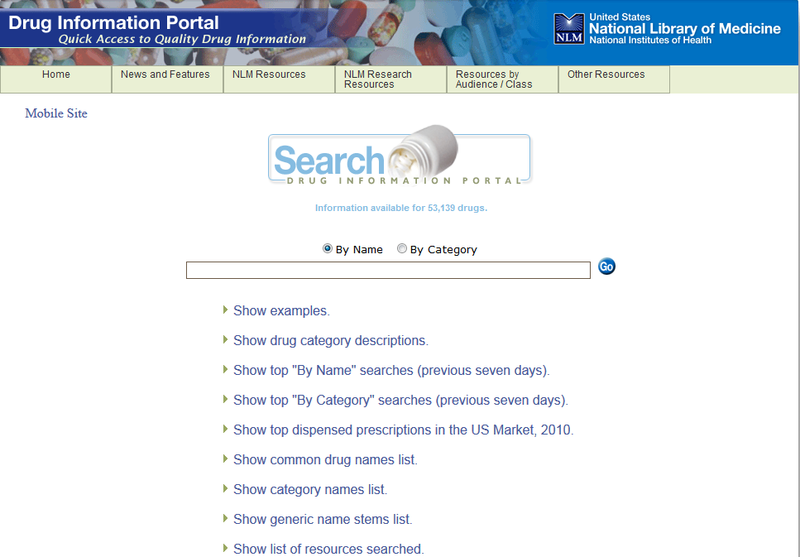 A gateway to selected drug information from the US government. It links you to information on over 12,000 drugs from trusted consumer drug information sources (as MedlinePlus Drug Information), the US Food and Drug Information (as Drugs @FDA), LactMed (summary of effects on breastfeeding), and more. Clinically important safety information and reporting serious problems with human medical products. Safety information includes drug information, recalls & alerts, drug shortage information, and medication guides. “….Drug companies, though, have plenty of incentives to market their drugs to kids. Adolescents represent a relatively untapped (but rapidly growing) market for drugmakers, something any successful business looks to exploit. And they’re generally encouraged to do so by the government. A federal law passed in 1997 allows a drug company to keep its patent an extra six months by performing clinical trials on children, which translates into enormous profits. Zoloft, for instance, grossed about $3.1 billon in sales last year, so that additional time is hugely lucrative. What such marketing cannot take into account is that kids are cynical, reluctant to take the word of adults at face value. When this attitude mixes with prescription drugs, it turns into a desire to reinvent their intended uses in a manner that’s not necessarily ill-intentioned. Because the taboo truth is that illicit use can be legitimately helpful, which makes the dangers that much easier to overlook…. The traditional way of making medicines from ingredients mixed together in a factory may be joined by a new approach in which doctors administer the ingredients for a medicine separately to patients, and the ingredients combine to produce the medicine inside patients’ bodies. That’s one promise from an emerging new field of chemistry, according to the scientist who founded it barely a decade ago. Carolyn Bertozzi, Ph.D., spoke on the topic – bioorthogonal chemistry – delivering the latest Kavli Foundation Innovations in Chemistry Lecture at the 243rd National Meeting & Exposition of the American Chemical Society (ACS). Bertozzi explained that the techniques of bioorthogonal chemistry may fundamentally change the nature of drug development and diagnosis of disease, so that the active ingredients for medicines and substances to image diseased tissue are produced inside patients. Cases in which a newly approved drug is more effective than the cheaper alternatives already available are the exceptions rather than the rule. This is the conclusion reached in a study by Mariam Ujeyl et al. in the current issue of Deutsches Ärzteblatt International. Research into 39 proprietary medicinal products (PMPs) launched on the German market in 2009 and 2010 shows that there were frequently insufficient data available on efficacy when approval was granted. The legal requirements of the licensing procedure have never yet required direct data comparing a new drug to a commercially available drug. The researchers’ evaluations also show that for around half of approvals the only trials presented compared the new drug with a placebo, not an effective comparator drug. 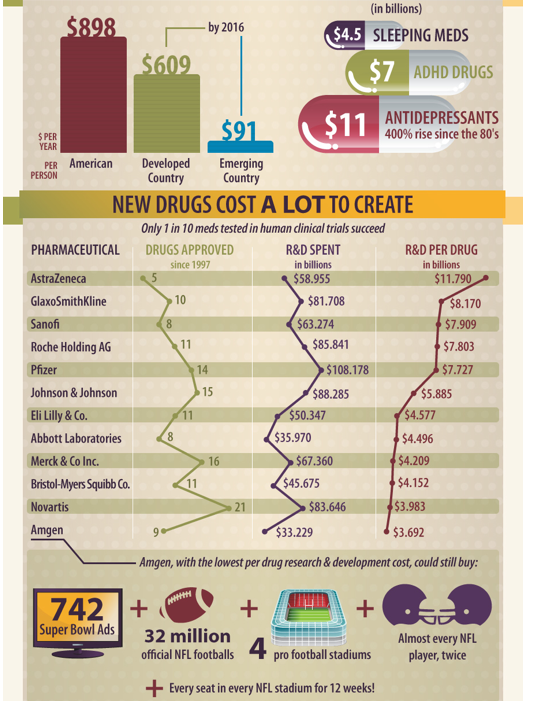 This can give rise to room for interpretation regarding pricing when new drugs are marketed. The authors do not even rule out the possibility that these more expensive PMPs may actually be inferior to the alternatives already on the market. 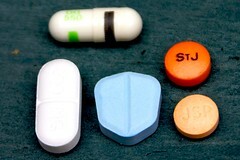 Criminal gangs are increasingly using the internet to market life-threatening counterfeit medicines and some have even turned up in legitimate outlets such as pharmacies, according to a review led by Dr Graham Jackson, editor of IJCP, the International Journal of Clinical Practice, and published in the March edition. Latest estimates suggest that global sales of counterfeit medicines are worth more than $75 billion, having doubled in just five years between 2005 and 2010. Numerous studies have also reported large numbers of websites supplying prescription only drugs without a prescription and people buying internet drugs despite being aware of the dangers. “Counterfeit medicines pose an every-increasing threat to public health, including death and inadequate healthcare as a result of self medication” says Dr Jackson. “Particularly worrying examples include counterfeit cancer and heart drugs and fake vaccines sold during the bird and swine flu scares. “The majority of medicines people buy from unverified internet sites are counterfeit and often lack the active ingredients they claim. Others have variable concentrations of active ingredients or even contain dangerous toxins, such as arsenic, boric acid, leaded road paint, floor and shoe polish, talcum powder, chalk and brick dust and nickel. Facts and figures highlighted in Dr Jackson’s review include:…..
Doctors have drawn up plans to sequence the full genetic code of thousands of people in a landmark project to personalise their medical care. Volunteers will have all six billion letters of their genome read, stored and linked to their medical records to help doctors prescribe more effective drugs and other therapies. The prestigious Mayo Clinic in the US will launch the pilot study early next year as part of an ambitious move towards an era of “proactive genomics” that puts modern genetics at the centre of patient care. The trial reflects a growing trend in medicine to use genetic information to identify those patients who will benefit most from a drug and those who will respond better to an alternative. Other medical centres around the world that are thinking of introducing their own whole genome tests will be watching the trial with interest. The wealth of information locked up in the human genome can help doctors advise patients on lifestyle changes to stave off diseases they are at risk of developing, but in many cases that advice is familiar and generic – for example focusing on healthy eating, regular exercise, drinking in moderation and not smoking. The Mayo Clinic trial goes further by giving doctors all the genetic information they need to choose drugs that will work best for a particular patient while minimising side effects. Concerned about the safety of your drugs or medical advices? Wish to report a serious medical product problem online? The US Food and Drug Agency (FDA) can help. Medwatch is the FDA gateway for clinically important safety information and reporting serious problems with human medical products. Now available for free in the iTunes store!